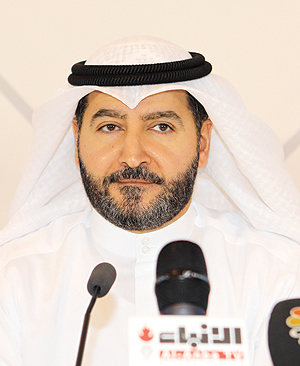 KUWAIT: Kuwait Finance House (KFH) held its annual general Assembly (AGM) yesterday and approved the Board of Directors’ recommendation of distributing 20 percent cash dividends and 10 percent bonus shares to shareholders. Praise be to Allah Almighty, and Peace and Blessings be upon our Prophet Muhammad (PBUH), his Family and Companions. 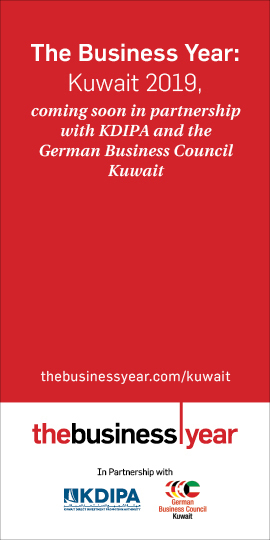 On behalf of myself, my fellow colleagues and members of the Board of Directors of Kuwait Finance House (“KFH” / the “Bank”), I would like to present to you the KFH Group Annual Report for the year 2018. KFH’s performance in 2018 was unique and outstanding. I’m very proud of the remarkable achievements we have made this year. KFH Group’s distinguished capabilities and strengths have enabled the Group to be a trustworthy partner in all regions where it operates. These characteristics have placed KFH Group in a leading position in the GCC as the safest financial institution for the year 2018 according to Global Finance Award. This award reflects remarkable customers trust and confidence, KFH Group credibility and acceptance on regional and international levels. It also reflects KFH’s highly distinguished trademark in a promising market which offers great opportunities. We have managed during the year to transform KFH vision and mission into a reality and reap the harvest of implementing the Board approved long term strategy to diversify sources of profit, mitigate risks, optimize cost, increase operating income from core banking activities, divest several non-strategic investments successfully and achieve inter-group harmony in terms of performance to ensure sustainable growth and profitability as affirmed through positive indicators, robust financial position and well-balanced sustainable growth over the last four years which have witnessed highly significant positive performance. In pursuit of expansion and strategic growth opportunities on both regional and international levels to cope with the accelerating developments witnessed in the banking sector worldwide, KFH has focused on considering several opportunities and alternatives to enhance its position regionally and globally. In continuation of our leading role in global development of sharia – compliant financial services, the performance of the first Islamic bank in Germany – KT Bank AG, core pivot to Europe, has been highly impressive as it achieved significant positive results and proved our vision of investment feasibility. KFH has continued its hedging policy to encounter all local and global variables and overcome economic fluctuations efficiently in regions where it operates. It has adopted conservative policies to enhance precautionary provisions and target a robust financial position with a view to focus on core banking activities, high asset quality, adequate capitalization and high level innovation and distinction. KFH’s strategy relied on three core pillars to achieve its priorities. Pillar 1 targets growth and expansion of the customers base by providing distinguished and unique banking services. Pillar 2 targets transformation of fast developing financial technology, thus availing and implementing new technology to achieve customers’ satisfaction and expectations through embracing of advanced revolutionary digitalization process as part of KFH business transformation program. Transformation to FINTECH application shall grant KFH access to highly advanced electronic banking services as the base of its services for the year 2018 and thereafter. Pillar 3 aimed to achieve highest levels of efficiency and appropriate utilization of operational activities and resources to achieve development and growth in all business lines. KFH’s transformation journey to electronic banking continued by releasing several initiatives and improvements on electronic banking channels, aiming to provide top notch services to customers including website, electronic banking applications on smart phones, e-corp. online for companies, Artificial Intelligence (AI) technology and advanced robotic technology in certain operations. KFH succeeded in granting its customers access to all banking transactions and availing finance at any time and place. Our efforts for the year 2018 were crowned with the inauguration of the first fully automated electronic branch, comprising of high tech systems and advanced self-service machines, being the kick-off point to open similar branches in the near future and apply KFH’s ambitious plan. KFH business sectors continue their endeavor to introduce innovative products and services to customers e.g. KFH has released KFH Xpress Service for electronic money transfer to beneficiaries worldwide. On the other hand, KFH endeavors to assimilate the Blockchain technology where money transfer services are provided through RippleNet. Group main financial indicators continued their ascending trend through enhanced profitability. Net shareholders profit exceeded KD 227.4 million as at the end of 2018 i.e. an increase by 23.5 percent compared to approximately KD 184.2 million for the previous year. Earnings per share reached 36.36 fils i.e. an increase by 23.4 percent compared to 29.46 fils for the year 2017. Total assets reached KD 17.8 billion i.e. an increase by 2.4 percent. Our strategy succeeded in achieving cost optimization where total operating expenses ratio reached 39.2 percent of total operating income, thus continuing its decline for the fourth year respectively. Meanwhile, depositors accounts increased to reach KD 11.8 billion i.e. an increase by 1.6 percent compared to 2017. Return on average shareholders’ equity increased to reach 12.4 percent in 2018 compared to 10.2 percent for 2017. Capital Adequacy Ratio reached 17.47 percent in 2018. Net financing income reached KD 527.3 million in 2018 i.e. an increase of 18.5 percent compared to the preceding year. Total operating income reached KD 746 million i.e. an increase by 4.6 percent compared to 2017. Net operating income reached KD 453.5 million i.e. an increase by 11.1 percent compared to the last year. Our well balanced performance comes on the back of the positive inter-connection at the group level, well planned and effective execution of our unified strategy which is characterized by appropriate integration, coordination among all concerned parties whether at Head Office or other various countries where KFH operates e.g. Turkey, Bahrain, Malaysia, Germany and Saudi Arabia. A set of successful strategic initiatives has been applied as core pillars to enhance governance and banking services at the group level. As we are committed to realize exceptional earnings for shareholders on the long run, the Board of Directors has given its recommendation to the General Assembly to distribute cash dividends of 20 percent and bonus shares of 10 percent. KFH has retained all positive ratings rendered by global credit rating agencies in addition to many other outstanding awards presented by globally recognized institutions. KFH shares have been listed in FTSE Russell Index for emerging markets in Kuwait. These are all positive indicators to the successful implementation of the set plans and the outstanding performance. The outstanding credit rating given to KFH by global rating agencies reflects KFH’s leading and pioneering position. Fitch Rating Agency has affirmed its rating for KFH at A+ Long Term and F1 Short term with a stable outlook. Moody’s Rating Agency affirmed KFH rating at A1 Long Term and P-1 Short Term with a stable outlook. Continuing its track record, and affirming its leading and pioneering position based on several standards set by highly specialized global neutral organizations to reflect its role as the leading Islamic organization in Kuwait and worldwide, KFH has received the Global Finance award of the safest Islamic Financial Institution in GCC for the year 2018. KFH has also won Best Bank for High Net Worth Clients award from Euromoney. KFH financed major projects in Kuwait. It was a mandated lead arranger for Kuwait Integrated Petroleum Industries Company for KD 390 million syndicated facility that had a KD 156 million Islamic tranche, as well as, financing 50 percent of LIMAK’s KD 249.2 million facility for the construction of Kuwait International Airport’s new passenger terminal. Moreover, KFH extended a KD 120 million facility for MENA Homes Real Estate Company (a Kuwait Projects Company Holding “KIPCO” subsidiary) for the development of Hessah Al-Mubarak District project. On both regional and international levels, KFH has arranged a syndicated finance transaction for Duqm Refinery amounting $500 million, bearing in mind that total value of the transaction reached $4.6 billion. KFH- Turkey has financed the Canakkale Project in Turkey through a KD 72 million finance transaction, which is part of a total finance transaction provided by several global financial institutions and banks of KD 800 million. Group Treasury and Financial Institutions continued to integrate and develop an effective liquidity management process at the group level through diversification and provision of stable finance, development of human resources, implementation of high technology systems and highly developed structures to develop and enhance customer service by providing innovative sharia-compliant solutions for Group Treasury and Financial Institutions. Group Treasury expanded its investment activities in Sukuk as KFH investments in the Sukuk market increased during the last two years to exceed KD 1.5 billion in 2018. While KFH is operating as a market maker for the active Sukuk market to ensure marketing of Sukuk in secondary market, Group Treasury continued to retain its leading role as a supplier of International Islamic Liquidity Management (IILM) Sukuk, thus out-performing regional and international banks. On the other hand, Group Treasury has sought to innovate new products and add several hedging solutions to protect KFH investments in various regions where it operates by using sharia-compliant currency exchange transactions and profit Swaps against existing hedging products. Treasury has managed to centralize all Kuwait treasury activities and integrate the same with Group subsidiaries to ensure inflow of foreign currency, optimize costs and execute transactions at competitive rates to ensure development and enhancement of productivity and efficiency. The year 2018 was a challenging year from a Human Resources perspective where we have continued our efforts in developing and attracting national talent in addition to transforming their academic and professional status in Islamic Banking and Finance. KFH Group committed to meeting required changes in regulations while maintaining efficient staff cost ratios. Nationalization remains a core focus for the KFH Group where we continued attracting and developing seasoned professionals as Bankers of the Future. We have shown exceptional progress in implementing our Human Resources Strategy where we reached a Kuwaitization ratio of 69 percent, thanks to Kuwaitis making up 97 percent of our recruitment and our continued focus on building and promoting our talent from within KFH which has lead KFH Kuwait to be an industry leader in terms of Nationalization indicators and Kuwaitization ratios. To strengthen the relationship between the bank and its’ employees, KFH was keen on organizing events and taking advantage of occasions to communicate with all employees and to strengthen relations while maintaining positive interaction on a personal and professional level due to the importance of that in improving the general image of the bank and the performance of its employees. By doing so, KFH Group Entities continued advancing its Group Employee Engagement Scores in 2018 where our Group Employee Engagement Score reached 78 percent with a growth of 5 percent. Our continued focus on attracting and retaining our employees lead to recognizing Kuveyt Turk Participation Bank as one of the Top 3 organizations in Turkey in terms of employee engagement. Development of our Successors and High Potential Employees across the Group has been high on our agenda for this year where we have successfully concluded a series of intensive courses with Harvard Business Publishing, INSEAD, and IMD to build their capabilities as KFH Group Future Leaders. We have expanded, in 2018, our social participation and contributions activities in local society where KFH has donated KD 11.2 million to Zakat House based on its belief in the significance of performing Zakat obligation and placing it in sharia-compliant channels to better serve society and highlight the human side of our business. We would like to avail this opportunity to convey our sincere thanks and appreciation to all our shareholders and customers for their continuous support. We are confident that we will, by the grace of Allah, achieve rewarding returns for shareholders and depositors. I would also like to avail this opportunity to thank our Group employees and members of the Fatwa and Sharia Supervisory Board for their continuous endeavor and constructive contributions. Finally, I would like to convey our sincere thanks, gratitude and appreciation to His Highness the Amir of Kuwait Sheikh Sabah Al-Ahmed Al-Jaber Al-Sabah, may Allah safeguard and protect him, His Highness the Crown Prince Sheikh Nawaf Al-Ahmed Al-Jaber Al-Sabah, may Allah safeguard him, and His Highness Prime Minister Sheikh Jaber Al-Mubarak Al- Sabah, may Allah safeguard him. Our thanks and appreciation are also extended to His Excellency Dr Mohammed Al- Hashel, Central Bank of Kuwait Governor and all regulatory authorities for their ongoing support to the banking sector in the State of Kuwait. Since inception, progress for KFH meant providing an alternative through “sharia-compliant” banking products and services for customers’ financial needs. Today, KFH’s growth and advancement stand as a more productive and effective pioneering financial model, providing retail and corporate customer care to achieve the highest prosperity for society. The KFH brand wherever it operates is a symbol of utmost trust. KFH has built this trust through a long journey of successful partnerships with various tiers of customers. We fully believe that the bank’s success is conditioned to customers’ security and satisfaction. KFH was keen, over a 40 year journey, to provide the utmost level of care and service to customers and societies. This goal was achieved through gradual and clear regional and strategic growth towards the future. We focused on developing our employees’ talents to build responsible and talented future leaders. We have innovated a new financial system based on genuine social values. We comprehend market needs and the actual momentum of the regions where we operate. To achieve gradual sustainable growth and lead our team and customers to further progress, we have provided specially designed services and accounts to fulfill their expectations and achieve a continuous increase in assets, income and managed funds, thus proving our gradual growth with sustainable positive results. In 2018, KFH redefined several core aspects of growth and progress by endeavoring to achieve exceptional growth involving time management and progress. KFH has considered, during the year, several opportunities to achieve further growth, strength and stability. Regional power provides a strong, unleashed position to support our local commitment to growth. We have the ability to grow along with various customers’ needs and according to their changing styles. KFH’s strength has attracted several opportunities for our customers, societies, employees and the region in general. We have ensured sustainable progress and growth through appropriate utilization of resources to achieve a positive and effective change. 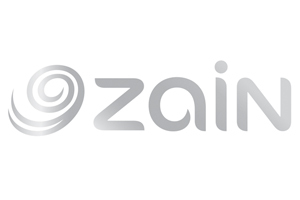 Our markets in Bahrain, Saudi Arabia, Germany, Malaysia and Turkey embody the concentration of our regional power and provide a vast scheme of services and products, thus enabling customers to have access to several alternatives, resources and services through our widely spread branch network. KFH has a prosperous future, by the grace of Allah, by achieving sustainable success and availing proper opportunities. As a leading and pioneering bank we invest in our employees, facilities and our ability to provide outstanding retail services which have acquired the full satisfaction of customers including small companies aiming to obtain capital to achieve further progress or provide a service to corporate, trade and industrial sectors to enhance growth or real estate customers who wish to purchase and invest in properties. KFH recorded a net profit at KD 227.4 million in 2018 i.e. an increase by 23.5 percent compared to the preceding year. Furthermore, financial indicators achieved clear improvements and growth over the last four years. Profit for the year resulting from the Group’s local activities in Kuwait increased remarkably to reach KD 162 million in 2018 compared to KD 37 million in 2014. 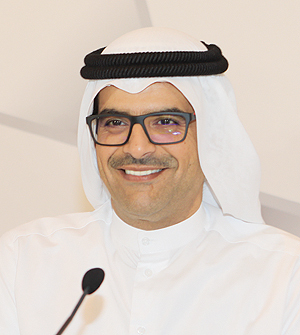 As KFH Group heads towards a global spread and expansion, seeking better investment opportunities and returns, profit for the year resulting from international operations approximated KD 101 Million in 2018. Total assets increased to reach KD 17.8 billion as at the end of 2018. On the Middle East level, assets increased as at the end of 2018 to reach more than KD 12.2 billion i.e. an increase by 15 percent compared to its volume 4 years ago, thus representing 69 percent of total assets in 2018 compared to 62 percent in 2014. KFH efforts succeeded in giving KFH an effective presence in The Euro Zone and Turkey where assets represent 26 percent of total assets (2014: 24 percent). Assets in Europe and Turkey exceeded KD 4.5 billion as at the end of 2018 with an increase of 10.3 percent compared to 2014. In the year 2018, KFH has embraced the digital revolution by adopting innovative solutions using FINTECH, thus contributing to the exceptional growth of KFH. Kuwait banking sector witnessed for the first time in Kuwait the birth of a fully automated comprehensive electronic branch in Ishbiliya area (KFH – GO) which provides 24 hour service via electronic systems and self-service machines, thus eliminating traditional methods where customers await service from employees. Ten similar branches are expected to be opened mid next year. Banking and commercial services shall be enhanced through the internet and mobile phones. XTM and ATM machines shall be increased to accommodate all new innovative technologies, artificial intelligence, active systems and robotics for transactions in addition to our core branches network. KFH inaugurated five banking lounges in various branches for Awlawyya customers, “Nukhba” and Ruwaad” as part of the bank’s vision to provide banking services based on high global standards. KFH is committed to quality and distinction in developing the appropriate environment to provide services via a modern design and transformation to the modern generation of e-banking to satisfy customers’ inspirations and reflect KFH’s pioneering global role. Accordingly, KFH could benefit from lower costs and provide better service to customers. Expansion was achieved in the direct sales team to reach 100 employees with an increase in direct sales presence in more than 30 different locations. To increase geographic expansion and serve customers in new areas, new branches were opened in Qairawan Mall and Arabia Mall. As we celebrated our 40th anniversary with our customers and shareholders, we have redefined several core aspects of our services to cope with their requirements and ensure that our service level remains extraordinary. In four decades of customer service, our reputation grew, rendering us as the prime Islamic banking leader in Kuwait. Our financial expertise has helped our customers to plan their future, and demand increased on products we provide through our business lines. We are committed to focus on being partners with our customers rather than just being a service provider. In order to accommodate the society’s banking preferences, we have advanced to a non-cash payment banking technology as there was substantial demand for our digital services. To ensure that our customers and partners receive all available tools to fulfill their needs in the best possible manner, we have added new services to our line of products including Visa Platinum – Smart Pay and New Visa Signature with variable advantages as part of our customer care scheme. KFH continues to provide and enhance diversified services and products to fulfill customers’ inspirations and enhance the bank’s global leading position. Our continuing endeavor in this respect has been crowned with KFH winning the Visa Global award of the Fastest Growing Debit Portfolio in Kuwait in 2018. KFH sales of the Visa Global Card increased by 32 percent during summer 2018 compared to the same period last year i.e. highest growth ratio in 4 years for the Visa card. KFH focused on developing ATM machines by adding 7 new services, thus providing more comfort and ease for customers and achieving many of their practical requirements and needs around the clock through an advanced set of services including cash withdrawal using QR Codes instead of the ATM card. Customers are able to use their civil ID or mobile No. for withdrawal, updating civil ID information, activating new ATM cards, changing PIN codes and using KFH Xpress instant and swift money transfer in a competitive way to almost any destination worldwide. Private banking continued its approach to provide outstanding banking services. KFH provided money delivery service for private banking customers 7 days a week throughout the year, thus enhancing customers’ satisfaction level. In line with our integration strategy at the Group level, management has continued to facilitate account opening procedures at KFH Turkey, KFH Bahrain and KFH Malaysia through the coordination of account opening process at Kuwait Head Office. The Individual Financing Department focuses on providing finance facilities to retail customers willing to obtain real estate financing e.g. residential, investment, commercial, industrial or handcraft. The department provides various finance products to fulfill retail customers’ needs to finance existing or under construction real estate or develop land and supervise the respective completed stages. The department is currently developing several finance projects to be announced soon, thus granting retail customers various opportunities and alternatives to benefit from available finance products at flexible and competitive financial terms and conditions by introducing new real estate financial concepts. This has contributed to the creation of a special imprint and mark for KFH, thus increasing our customer base and KFH market share in real estate finance. To provide a distinguished service to this segment of customers, the individual financing department has established several portfolios managed by highly qualified and experienced account managers, thus ensuring continuous contact whether directly through field visits or SMS. On the other hand, KFH opened, during the year, the largest automotive showroom in the Middle East to provide commercial services and automotive finance services. Meanwhile finance services provided at the automotive agent premises covered more showrooms, increasing from 54 to 58. Car rental and lease to own services are also offered at most of the automotive agent showrooms. Over the last 40 years, credit and investment services were a significant part of KFH’s overall success. We made a modest start enhanced by the will to assist our customers to achieve present success and future planning. Today, we have a department supervising assets exceeding KD 5 billion in value. KFH participated in major finance transactions for various sectors including oil and petrochemicals sectors. Also, it has participated in financing many other major projects in other vital sectors including infrastructure and construction projects. KFH plays a major role in supporting the national economy, financing mega projects, enhancement of the execution of Kuwait’s development plan and vision. Transactions include a KD 124.6 million finance transaction to LIMAK company to complete the new terminal project. Furthermore, it has signed a Euro 200 Million finance transaction for the construction of Canakkale flying bridge in Turkey, signed a memorandum of cooperation with KIPCO Company to finance the customers of Hissa Al-Mubarak District real estate project in addition to a KD 120 million finance transaction in favor of MENA Homes Co.
KFH Group continued its leading role as a trust worthy organizer of sovereign and private Sukuk worldwide. KFH Capital, in cooperation with Group Treasury, has acted in 2018 as the joint lead arranger for the main issuances of Sukuk in the region. Major issuances include Oman Sukuk worth $1.5 billion, Dubai Islamic Bank Sukuk worth $1 billion and First Abu-Dhabi Bank’s first Sukuk approximating $650 million. Furthermore, International Islamic Liquidity Management (IILM) has placed KFH as the of top rank dealer in the main dealers list which comprises several international and regional banks, thus affirming KFH position as the core player in the short term Sukuk market. Group Treasury continues to apply innovative technology to execute automated transactions and settlements in partnership with Bloomberg for capital market activities. Group Financial Institutions Department has developed new credit lines for highly rated banks for better distribution of risk while maintaining a cautious balance and diversification to achieve the highest returns on available liquidity. The department succeeded, in cooperation with several local and regional banks, to arrange mega finance transactions e.g. $250 million syndicated finance transaction in favor of Kuwait International Bank. Also, It has participated in several finance transactions in cooperation with International Islamic Trade Finance Corporation including the finance of government oil supplies to member countries. KFH continued its transformation process to e-banking after upgrading its infrastructure. Transactions processed through e-channels reached more than 65 percent of total transactions. Electronic transactions reach around 4 million transactions monthly. Considering the cooperation between the Operations Department and the Information Technology Department at KFH, to transform to a new automated system for settlement of customer claims on ATM systems, we have succeeded in launching a centralized SWIFT correspondence network for international payments at the Group level. On the other hand, KFH has joined the Digital Payments Network (Ripple), thus improving business efficiency, optimizing cost, focusing on technical expertise and investing in strategic initiatives to provide the best customer service. In pursuit of the most advanced technology systems to provide a high-tech customer service, KFH has invented, for the first time in Kuwait, a specialized charity deductions system to establish charity deductions without the need to fill in the charity deduction application form. Group Human Resources made significant leaps during this year where KFH Human Capital capabilities have been further transformed leading to a more engaged, enabled, and vibrant workforce. During this year, we continued building momentum and further strengthening our employment brand across our Group. We have constantly attracted talented individuals across the Group where National Talent made up 99 percent of our recruitment this year (97 percent in KFH Kuwait). Our talent retention ratios remain favorable when compared with our peers thanks to the effective practices we have built into our Talent Acquisition domain. Group Human Resources persists with the execution of many initiatives across the Group where the standardization of best practices across the Group remains a core focus. We have continued rolling out Oracle HR in our Group Entities where previous roll-out exercises have reaped benefits through oversight and control over our Human Capital. In KFH Kuwait, we increased the pool of leaders for the future by 45 new individuals. Identified High Potential Employees (HiPos) were then enrolled in rigorous focused programs led by first-class providers including Harvard Business Publishing to further refine the skills and capabilities of our HiPos. The year 2018 program for Successors included a major investment on a Group Level where leaders were enrolled in specialized programs developed in liaison with three of the top Business Schools in the world: Harvard Business School, INSEAD, and IMD. KFH Kuwait continues to be amongst the leaders in Kuwaitization Ratio amongst its peers with a ratio of 69 percent. We also ensured effective career progression of our Kuwaiti Nationals as part of our Middle Management, and we have internally promoted eighteen Kuwaiti Branch Managers from within KFH, while Kuwaiti Nationals now make up more than 60 percent of the Executive Leadership Team thanks to constant emphasis on internal progression. This year was a significant year for the Employee Survey, our largest initiative covering more than 10,000 employees across our Group. Participation rate maintained a record high of more than 85 percent which shows our employees commitment to providing their inputs where the relevant initiatives and actions taken resulted in a significant change in KFH Group. KFH Group sustained its upward trajectory for the third year in a row with the Employee Engagement score reaching 78 percent, thus continuing its industry leadership in this indicator. Furthermore, Group HR applied industry leading methods on how to recognize Key Talent with over twenty recognition opportunities all aimed at improving our overall contribution thus resulting in enhanced engagement and commitment. KFH continued supporting its employees this year through providing scholarships to talented Kuwaiti individuals to obtain both Graduate and Undergraduate Degrees where we congratulated the third batch of employees on their graduation. Group HR continues to make significant progress in attracting and growing talent which will result in more development and growth, leading to further performance improvement by the grace of Allah across KFH Group. Group risk, Compliance and Internal Audit departments have provided remarkable and significant support in the assessment of the efficiency of the bank risk management process at the Group level. KFH continues to adhere to CBK and Capital Markets Authority regulatory instructions in regard to internal control and governance by applying several initiatives including the three-year-risk strategic review plan. Group Internal Audit Department applies international internal audit standards issued by the International Institute of Internal Auditors. On the other hand, our Legal Department has developed its services and allocated an office at KFH Head Office for the Ministry of Justice employees of the Real estate Registration and Authentication Department to provide services to KFH customers without the need to refer to the Ministry head office. Sharia Department witnessed qualitative development including recruitment of new staff and implementation of an ambitious plan to develop its employees. Sharia department employees received international professional certificates in Sharia audit. Shari’a department plays a significant role in applying Fatwa and Sharia Supervisory Board (FSSB) decisions to all KFH sectors. The department has prepared a follow up plan for KFH subsidiaries to ensure compliance with Sharia regulations and related FSSB decisions, develop regulatory follow up reports to Sharia Committee and concerned authorities and ensure safety of the subsidiaries activities Sharia wise. Several initiatives have been launched aiming to spread Shari’a knowledge and awareness and enhance moral values and principles among employees, customers and related parties. Continuing the remarkable record and affirming KFH’s position as a leading and pioneering bank in accordance with global standards, thus reflecting its position as the leading Islamic Bank in Kuwait and worldwide, KFH won the “The Safest Islamic Financial Institutions In the GCC 2018” award by Global Finance. KFH also won Best Bank for High Net Worth Clients award from Euromoney. In this context, we have received continuous global confirmation ratings for capital and assets quality. Today, we are able to achieve future satisfaction of our customers and shareholders by increasing our employees experience through training and guidance. We made strong foundations to meet all customer and society’s future needs. KFH continues to enhance its leading CSR position through a set of various social initiatives and contributions, comprising of more than 200 initiatives in 2018. Such initiatives highlighted the bank’s keenness to execute its diversified and comprehensive social responsibility. Initiatives have aimed to cover various fields through business plans and programs carried out by the bank to cover education, health, awareness, environment, special needs, youth, sports and voluntary works. Also, they include social Takaful to enhance the concept of efficiency in achieving comprehensive social growth. Youth represent the main priority of KFH strategy. For better achievement of this strategy KFH has concluded an agreement of cooperation with the Ministry of State for Youth Affairs to provide an integrated system of youth care and support of the owners of minor projects, students’ graduation projects and scientific researches. KFH was keen on reaching various society tiers by enhancing its presence in all global social events and initiatives launched by international organizations through social media channels, and various social service activities. To affirm this significant role, KFH has participated in several global and regional conference e.g. meetings of IMF and International Bank of Indonesia, “Invest in Kuwait” conference held at Silicon Valley – USA, “Islamic finance: Global Thesis” held by the Central Bank of Kuwait and Islamic Finance Services Council, Islamic Banks Conference – 3rd Global Forum of General Council of Islamic Banks and Financial Institutions, Annual conferences in Accounting and Auditing Organization for Islamic Financial Institutions (AAOIFI), Private Sector Social Responsibility Conference to support human rights in cooperation with the Ministry of Foreign Affairs and Human Rights Commission. KFH has also participated in conferences held by students unions on both local and international levels. On the other hand, KFH continued its endeavor to spread and uphold banking and finance culture, disclose financial indicators through the Live Webcast Analyst Conference to all interested parties and investors worldwide, issue economic and real estate publications and expand internet and social media posts in cooperation with Thomson Reuters, thus increasing numbers of followers on the Group social media accounts. Our Legal Department has taken all legal procedures to protect intellectual rights of KFH publications in regard to Real-estate Reports. Our success is mainly attributed to our employees endeavors and the valuable trust which our customers and shareholders have bestowed upon us. We would like to convey our sincere thanks and appreciation to KFH Board Members and the Shari’a Board for their distinguished efforts to enhance KFH credibility. We shall always seek to execute our plan in a systematic and orderly fashion and achieve more success for our reputable organization.